Album of the day: Streets of Fire by the band Place Vendome. Paris brûle-t-il ? 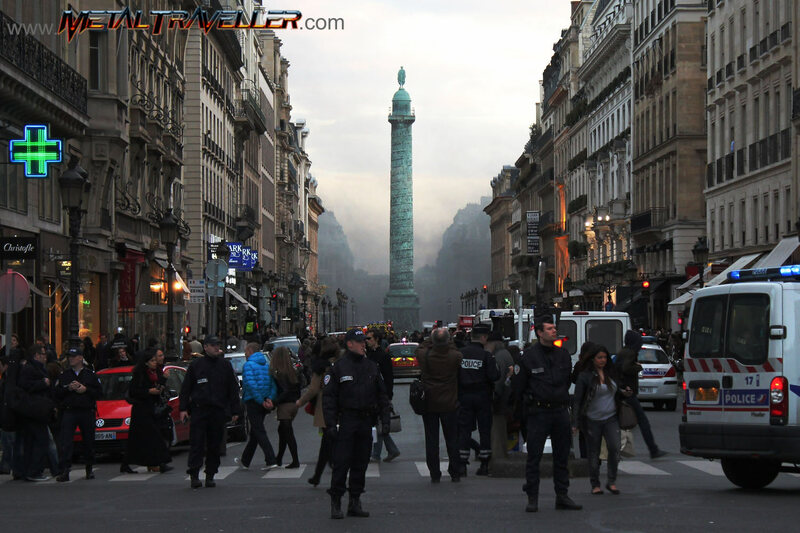 No, this is not about the book from Dominique Lapierre, it's about the stunning event that took place today in Place Vendôme. As I got out of the office I had this incredible sight from Rue de la Paix. The fire started in an underground parking garage. The smoke quickly reached outside and dark clouds could be seen from many places in the capital. The police and the firemen reacted quickly and the fire could be contained within a few hours. 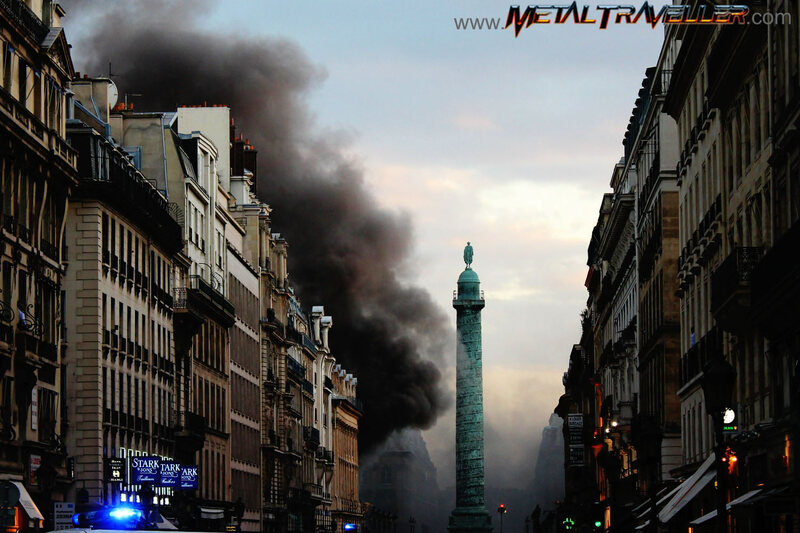 The news say that there were no fatalities, only one man was injured, but several people suffered smoke inhalation (firemen, people that lived or worked nearby, but mostly curious people that approchead nearer than I did!). Place Vendôme is one of the fanciest places in Paris, with trendy boutiques, jewelries and luxury hotels, including the Ritz and the Costes. It's more likely that the burnt cars were Porsche or Rolls Royce rather than Twingos or Fiat Punto. 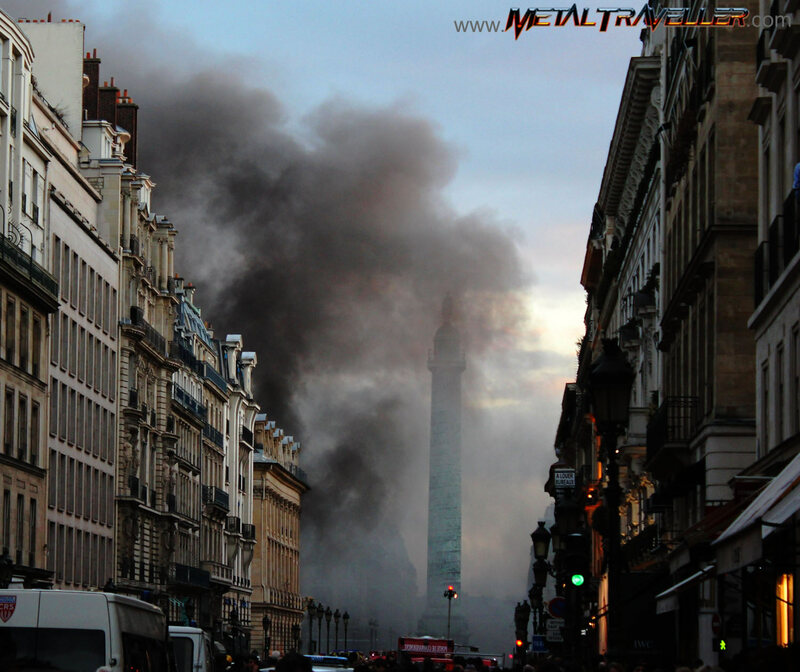 On top of the Column, Napoleon got covered with this pricey smoke.